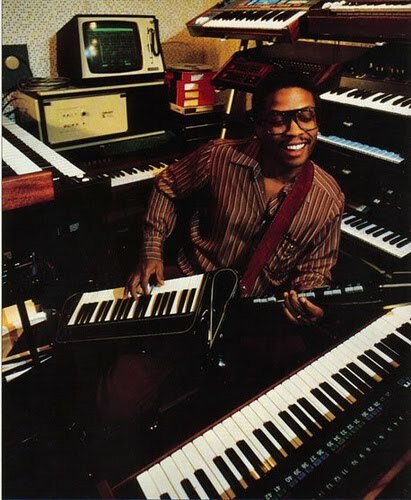 I remember the first time I heard the classic Herbie Hancock album "Thrust". It was on the radio, if you can believe it. The song "Actual Proof" burned into my brain: I had been a fan of Herbie's, especially of the Headhunters, of songs like "Chameleon" and "Watermelon Man," but this was different. It was so electrifying, so ultra-sophisticated, so mesmerizing. It was a musical magic trick: I was hearing it, but I didn't believe it. And then for years I wondered, "Who is Mike Clark? 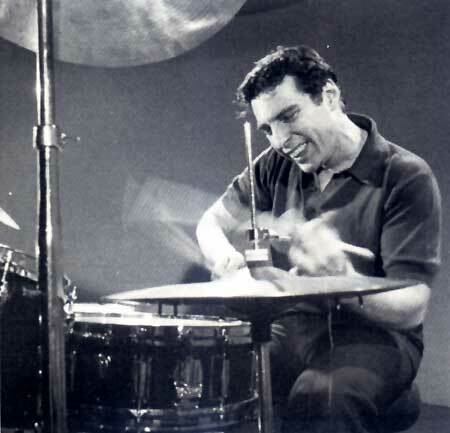 This is some ridiculous drumming." And I've been fortunate to get to meet Mr. Clark, and also get to play with him, and witness up close the unique new language he has bequeathed to the modern drum set. Clark is restless as a human being as he is a drummer. He has many ideas and I was lucky to get him to submit to an interview. GC: How would you describe the Oakland Funk style to an alien who just landed on earth? Or maybe just a regular human being who didn't know about the Oakland Funk? How did it develop? How did you get into it? Do you think there are drummers today who are influenced by that and/or your playing more specifically? Do you see yourself as an innovator? MC: I would say that the Oakland style of funk playing was like a dot-and-dash type of 16th note bass and drum grooves. The guitar playing was sort of like what Catfish Collins and those cats did with James Brown, some slightly busy chicken scratchin', as we used to call it. The rest of the band played jazz derived solos over the top. As far as the drumming is concerned, I would say it was the next logical place for forward thinking drummers of that time to go. 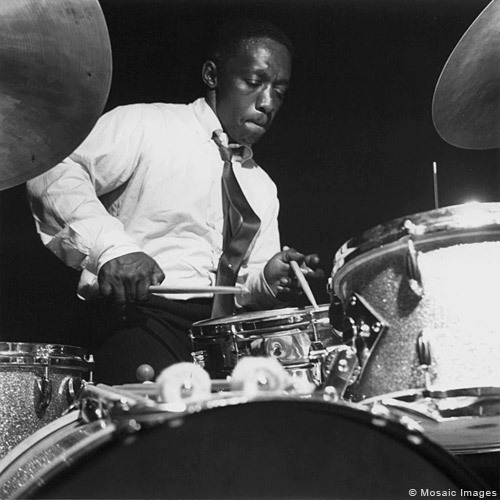 For me I listened to Clyde Stubblefield, Jabbo Stark, Bernard Purdie and found my own way of kind of negotiating what I thought they were doing, added bits of that to my own sensibilities-and that become my signature grooves. As far as the blowing, improv or even fills I used be-bop or post-bop language instead of the type of stuff you would hear most funk drummers playing. I didn't have that type of thing in my vocabulary. I was a be-bopper, so my career is sort of like Spock's on Star Trek. If you see Leonard Nimoy doing a romantic lead in a Broadway show, people are like..."Yo Man, that's Spock". When people hear me playing jazz they think "Hey, man, isn't he that funk drummer from Herbie Hancock???" HA!! !.........gotta love marketing! As far as the development of this style I would say myself, David Garabaldi(Tower of Power), Gaylord Birch were the main pioneers of this style. At one point there were many working clubs in Oakland, you could hear this type of funk being played in the parking lot before you went in. While on break from my gig I could hear a band blasting it out of the club next door or down the street sort of like New Orleans is. It was a big deal at the time and big fun for us. People all identified with it as the "Oakland Thing" and we all felt united in this understanding. Musicians and non-musicians alike talked about it all the time, like we all shared this thing and the whole town got it. This was really exciting!! When you went to hear music everyone was trying to push the envelope and taking chances, there was no playing safe, it was all exploratory. We were having so much fun we weren't even bugged that we weren't playing jazz. Most of the musicians in Oakland at the time were in fact jazz musicians who were forced to play funky music to make a living. They could play at a much higher level than most regular funk band type cats, and so the so-called Oakland Funk was sort of a natural progression. Also, Lenny White was coming out from New York all the time, and became one of us. He taught us about what was going on in the Big Apple, so we tried to understand and add that to the mix. He also added some of our stuff to his bag. I hear the Oakland style somewhere in almost everybody that came after 1975. Even some guys that were before me went back and added bits of it to their own playing. It seemed to have cut across the lines of jazz, blues, funk, and even rock and Latin. With the fame of the HeadHunters and the Tower of Power, this style became popular world wide and I could hear its influence in music everywhere for the next ten years or so, even still today. change as far as straight ahead jazz playing was concerned. I became seriously involved in this new change. At that time there were enough jazz gigs happening to work things out on the gig which was great for me. Everything was in a very creative and experimental place at this time. 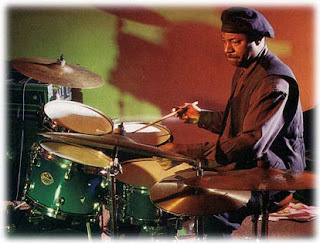 GC: What did you learn from playing with Herbie Hancock? What did he learn from you? MC: What I got from Herbie Hancock was to find my own voice and not to copy others. I was young when I was on his band and the music was brand new. We were doing things that hadn't been done before, so there was no real road map. Whenever I was playing and trying to sound like some of my favorite drummers (most of whom he had played with) he would say. "Hey Mike, if I wanted to play with so-and-so, I would have hired him! Let me hear what you have to say." I started developing my own style based on the roots of the music I dug. This has lasted me a lifetime. I'm still in this mode and although there have been periods since the Headhunters where it has been popular to copy people damn near to the T, I kept playing my own stuff. Now it's second nature. 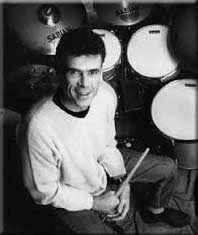 He also taught me to be a conversational musician, to have a dialog with the people I'm playing with based on what they were playing. He listened deeply and expected us to do the same. He wanted total interaction- not to hear a one armed drummer playing straight time. One time, we played poorly at a big show. The critic went to dinner with us after the show and was telling Hancock that he didn't think the band sounded very good that night. Herbie knew we were sounding pretty sad- but said to the critic, "You mean you didn't hear it??" The guy had a strange look on his face, and Herbie went on to tell him how we had worked very hard to get it to sound that way and it was a brand new way of looking at things musically. The next day we got a great review saying how we had found some new stuff. I learned a great lesson from that!!!!! As far as what Hancock learned from me I'm not sure, but Paul and I were the only cats in that band that had any experience playing funky music, so we would suggest things to him to make the music lay better. He would ask us things like if what he was doing was funky or too weird and we would give him our opinions. We used to challenge each other by playing way over the bar, or by playing poly-rhythms during the blowing, and you had to be on your toes; it was fun. I learned to stay totally focused while playing. I have heard some of his latest CDs and we have all changed so much since then...so unfortunately, I have no idea what he is feeling about music today. GC: Talk about your recent projects: You have The Headhunters, an organ trio, a straight ahead jazz group. Plus you are doing a lot of clinics. And I recently saw you with a big band! What are you enjoying the most, and is there anything else you have eyes for? MC: I have a new CD out called Carnival of Soul. 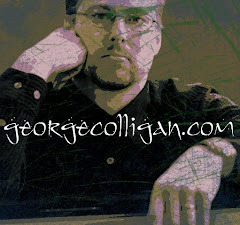 I played organ gigs for years and even had my own organ trio in a club five nights a week in Calif for four years. So I thought I'd make an organ record. I used Jerry Z, Jeff Pittson and Delbert Bump on organ. I have history with each of these cats so it was easy for all of us to get to our personal stuff right away. I used Rez Abbasi and Steve Homan on guitar, Rob Dixon on tenor saxophone and Tim Ouimette on trumpet. Delbert McClinton guested on "Cry Me a River", which was a great thing for me since I played in Delbert's band when I was seventeen. 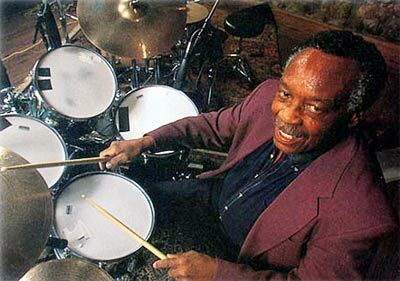 Lenny White guested on a track he and I wrote called "Catlett Outta The Bag", a tribute to Big Sid Catlett a great drummer and a hero of ours. We played originals, standards, funk, swing, old school and modern. We had a blast, and last week it was number 8 on the jazz charts for the third week. I did it for Owl Studios-a new record company. Last year I made a CD called "Blueprints of Jazz" with Christian McBride, Patrice Rushen, Christian Scott, Donald Harrison and Jed Levy. This one was picked one of the best of the decade by Downbeat magazine. I loved that. Trumpeter Tim Ouimette and I co-lead a big band and we are going to put a CD out next year. Tim writes brilliant arrangements and we play everything from Basie to Actual Proof. I am also going to Italy quite a bit to play with Antonio Farao the great pianist and in fact I'm taking a band into the Iridium in New York October 27th through the 31st featuring Donald Harrison, Antonio Farao, Christian McBride, Nicholas Payton and Rob Dixon. I am also touring Russia for one month with my organ trio featuring Jerry Z and Rob Dixon, so I have been pretty busy for quite a while. I am going to Indianapolis next week to mix the new Headhunters CD. The cast for this Headhunters date is Donald Harrison, Derrick Gardner, Patrice Rushen, Rob Dixon, Bill Summers and myself. Snoop Dogg is even on a track and I just heard today that Ice Cube may appear on it. This is heavy funky and I like it a lot. This is the first Headhunters CD I have really dug in a long time. Other than that I have been traveling some with the Michael Wolff Trio and doing tons of clinics from one coast to the other, and also in Europe and Australia. I do colleges, drum shops, music stores, schools and drum festivals and jazz camps. I really dig doing clinics and many times take a trio so it's not all about drumming. 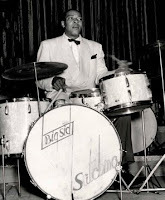 I played with Nat Adderley and he taught us never to leave the stage without paying our respects to the blues which is the springboard for all of the music I play. I bring all of the things I've learned from all these guys to the students so my clinics are not all about chops or a single stroke roll (which I find totally boring) and they really appreciate it so I have been getting a great reaction. Lastly I would like to become a bandleader in the tradition of Art Blakey and travel the world playing to all the crowds at festivals and clubs and to continue to make records that reflect how I feel mirror my daily life. GC: How do you view the music industry today and how do you think the political climate affects it? MC: I think the political climate of our country is in very sad shape and the effects of greed are making things extremely difficult for the American people and in fact people the world over. It is way out of control. For musicians this makes it hard for small clubs to stay open so musicians don't have as many places to hone their skills and work on things in a band context in front of an audience. This also cuts the ability to make money down considerably. The larger clubs usually want an all star band, and these groups never really play together, so the music is unable to grow. Hotels gas and air travel are all up in price as well. Having a steady group of people in one band is damn near impossible, so once again the music suffers. However, whenever times are tough, it seems to push the artists to raise the level of their work very high, and this has a "rock in the pond" effect. Most of the greatest jazz ever played in my opinion was a reflection of seemingly impossible situations and oppression. I have noticed that since the money has dried up, the bands that I do hear are playing their butts off, and New York is starting to sound like New York again. This is a welcome relief from some of the stiff contrived groups that are trying to imitate records done in the fifties, without having ever heard theses people live. I played with Sonny Stitt and some of those guys and the copy bands don't have the fire, blues, guts and don't swing as hard because they got it from the records, which is a controlled sound. I was there and live....it was alive!!! Back to politics. I hate any from of bullying or manipulation which is what we have going on now as the corporations are in control and the well being of the people is the last thing on their minds. At any rate what is empowering is it leaves whatever value we create up to us!! GC: Do you see a relationship between comedy and music? 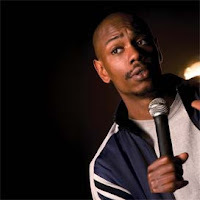 Who are your favorite comedians? I think the similarities between the music that I play and comedy are first off, the timing. Timing is of the utmost importance for a good musician and a comedian. Also, delivering a great punch line is important to both music and comedy. A funny thing happened on the way to the forum..........etc. The story telling has to be interesting, and the sound of ones voice or instrument reflects our inner world, so one's life experience and feelings are right out there for all to hear. Vulnerability is important, to be strong enough to let people feel and hear your voice as they are going to judge you and criticize. In order to learn and grow, you have to keep showing up and putting it out there. Also, in order to make a living at either of these artistic endeavors you have to shed and do your homework, constantly learning, re-inventing yourself and changing in order to make a living. It's a life long challenge... which is one reason we love it. Some of my favorite comedians? Paul Mooney, Richard Prior, George Carlin, Chris Rock,Steve Harvey, Dave Chappelle, George Lopez. I might also add George that I dug your stand-up show that night at Caroline's. I always wished you would write some more stuff and hit it again. You were funny. You know how some musicians are technically really good, did the right homework, and seem to be very up on things, but somehow they don't make you feel anything. Some comedians can stand up there and talk, are bold, but aren't funny, Man, you cracked us up! Thanks a lot, George- I enjoyed the interview, great questions. go-to guy for all kinds of info about the artists who are really making a difference on the jazz scene today, without a big business machine backing them up. Great interview..I love listening to musicians and their thoughts on music and the world. That bit about Herbie and the reporter is priceless! Great interview..I adulation alert to musicians and their thoughts on music and the world.